The NFF has partnered with College Football Officiating national coordinator Rogers Redding to highlight the key rule changes that will take effect during the 2017 college football season. For a copy of this release in PDF format, click HERE, or view it at FootballFoundation.org. IRVING, Texas (Aug. 23, 2017) – As the season draws near, the month of August provides the perfect time for the National Football Foundation (NFF) & College Hall of Fame to highlight the key rule changes that will take effect during the 2017 college football season. Since 2011, the NFF has partnered with Rogers Redding, the national coordinator of College Football Officiating (CFO), to help generate awareness for the rule changes in college football through a series of regular columns distributed by the NFF. The CFO functions as the national professional organization for all football officials who work games at the collegiate level, and the organization held its annual winter meeting of conference coordinators for football officials in late January for the fifth consecutive year at the NFF headquarters in Irving, Texas. Having officiated football for more than three decades, Redding started his career working high school football in Texas. He later officiated in the Southwest Conference from 1988-93, served as a referee in the Southeastern Conference for nearly a decade and worked three national championship games. He received his bachelor’s degree from Georgia Tech and later obtained a masters and PhD in physical chemistry from Vanderbilt. Redding was honored with the NFF’s Outstanding Football Official Award in 2010. A college football official explains the NCAA’s 5 new rules to know for 2016, by Cyd Zeigler, SBNation.com, July 13, 2016. This season should feature plenty of “POP” Passes. Not sure what a POP Pass is? No problem, as the two articles that I have posted below explain it perfectly. These articles are mandatory reading before the 2015 season starts as I am sure this will be a recurring discussion topic. In fact, with so much focus on the rules surrounding a proper POP pass, I fully expect to see more flags for the “ineligible man downfield” penalty. I came across the following videos and found them to be pretty informative. If you like learning the minutiae of college football rules, then you will probably enjoy these videos as well. CFO and NFF team up to highlight the changes designed to protect players and increase safety. IRVING, Texas (Aug. 6, 2014) – Since 2011, The National Football Foundation (NFF) has partnered with Rogers Redding, the national coordinator of College Football Officiating (CFO), to help generate awareness for the rule changes in college football through a series of regular columns distributed by the NFF. With training camps in full swing, the month of August provides the perfect time for the NFF to highlight the key rule changes and officiating points of emphasis that will be in effect during the 2014 season. 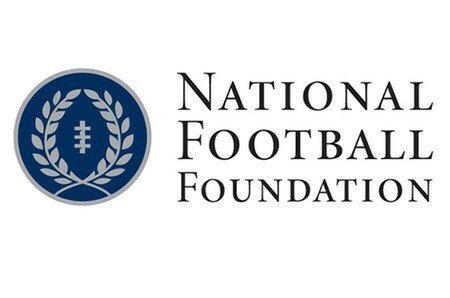 NFF and CFO team up to highlight the changes designed to protect players and increase safety. IRVING, Texas (August 7, 2013) – Since 2011, The National Football Foundation (NFF) has partnered with Rogers Redding, the national coordinator of College Football Officiating (CFO), to help generate awareness for the rule changes in college football through a series of regular columns distributed by the NFF. With training camps in full swing, the month of August provides the perfect time for the NFF to highlight the key changes featured in Redding’s columns during the past several months that will be in effect during the 2013 season. “We want to protect the game and to help reduce critical injuries with this message: play the game hard but stay away from serious fouls,” said Redding, who claimed the NFF Outstanding Football Official Award in 2010 after a three decade career in the Southwest Conference and the Southeastern Conference. “By making changes, we are signaling that the safety of the student-athlete stands at the very top of our list of priorities. The clear intent is to change player behavior.” The CFO functions as the national professional organization for all football officials who work games at the collegiate level, and the organization held its annual winter meeting of conference coordinators for football officials in late January at the NFF headquarters in Las Colinas, Texas. The NCAA Football Rules Committee subsequently adopted the CFO’s recommendations to create a safer environment for football student-athletes. Players will automatically be disqualified from the game for targeting fouls, including (Rule 9-1-3) targeting and initiating contact with the crown of the helmet, and (Rule 9-1-4) targeting and initiating contact to the head or neck area of a defenseless opponent with the helmet, forearm, elbow or shoulder. The foul itself has not changed. These plays have been illegal for a number of years, but the penalty has been stiffened to include automatic ejection plus the 15-yard penalty.